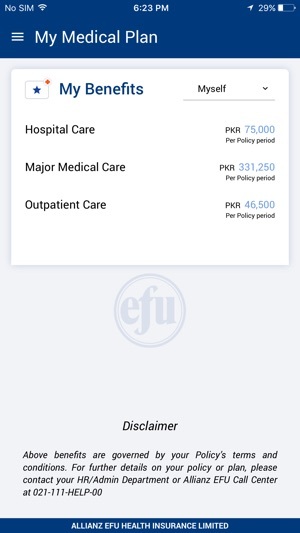 Allianz EFU Health Insurance is a joint venture between Allianz SE of Germany and EFU Group of Pakistan. 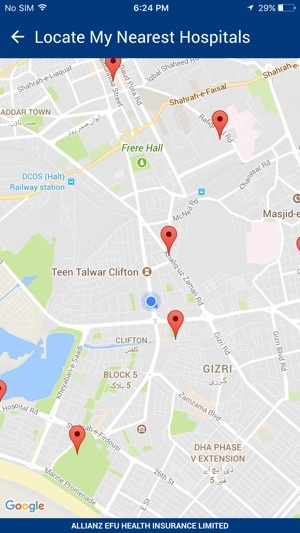 Being Pakistan’s first specialized health insurer, Allianz EFU has always endeavored to bring convenience, efficiency and transparency to its customers through innovative solutions. 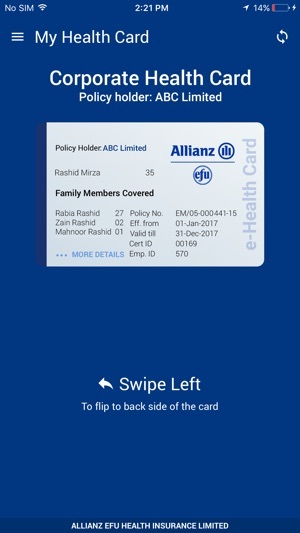 Allianz EFU Health Insurance is now introducing Allianz EFU MyHealth App for its customers to bridge the gap between insured and his insurance policy. 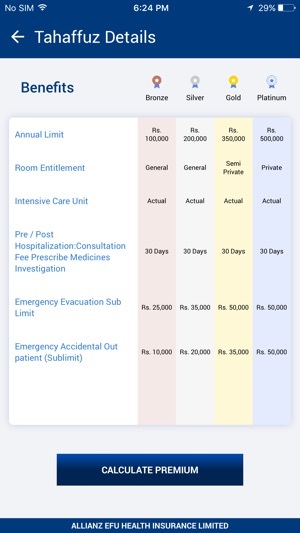 Allianz EFU Health Insurance Limited, being a responsible and technology driven insurance company, has undertaken this initiative to enable the insured individuals to be aware of their health insurance policy, its details and various processes for its utilization. 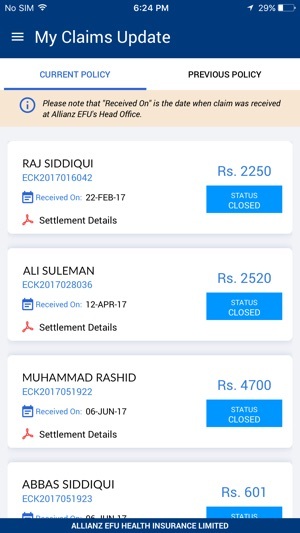 This app, we are certain, shall empower the insured lives in utilizing their insurance policy, effectively and efficiently. Simple design. Nice UI. Makes it easy to manage EFU account on the go. © 2017 Allianz EFU Health Insurance Ltd.